TLB Preface: The Liberty Beacon project is proud and very fortunate to have an individual of such integrity and moral standards as Christina England participating in this project. Her dedication to her research and level of professionalism is easily among the best to be found today. The information Christina has made available to supporters of this project is vital in educating them on the dangers of vaccines as well as the corruption and complicity we must all struggle against in the battle to keep ourselves and those we care for safe in this convoluted world we live in today. What we present below is an outstanding interview conducted with Christina by the Alliance for Natural Health Europe. TLB highly recommends you visit their website for more great/pertinent articles and information. Vaccination is once again in the news, courtesy of new and ongoing revelations over links between the MMR vaccine and autism. In truth, it would be more accurate to say that vaccination is once again in the alternative news, given the shameful absence of mainstream media interest in the story. While mainstream ‘journalists’ appear content to regurgitate government and pharma press releases on vaccination, collect their pay cheques and look the other way, it’s left to those working outside the ailing traditional media to tell the full story. Enter British journalist, Christina England. Since being falsely accused of Munchausen’s Syndrome by Proxy (MSBP) after linking developmental problems in her foster children to vaccine side effects, she’s worked for many years researching false allegations of child abuse in different parts of the world, including the possible role of vaccines and other pharmaceuticals in childhood disorders, such as autism. She’s also delved deep into the netherworld of shaken baby syndrome – or SBS – and dared to suggest that some cases may be down to misidentified vaccine-induced encephalitis. Accordingly, she’s been called a child murderer and accused of wanting to free all child killers from prison – all for telling the stories that lie behind official silence and propaganda. ANH-Intl’s Adam Smith caught up with Christina in this exclusive interview. ANH: What inspired your passionate interest in vaccination issues, Christina? Christina: In the 1990s, I adopted two disabled children, who I wanted to help and give a family to. Everybody deserves to be part of a family where they are loved and cared for, but a lot of disabled children are left on the scrapheap, due to their overwhelming physical challenges. My parents had fostered and I’d always been around foster children when I was growing up. Both boys had been diagnosed with global developmental delay and were classified as ‘unadoptable’ due to their age and disabilities – which is unacceptable as far as I’m concerned! One of the boys was particularly difficult to care for because of various issues. I was told it was because of ‘attachment issues’, and that if I gave him plenty of love and attention things would change. I later found out that he had ADHD and autism, so things weren’t going to change. According to notes written in his foster-care, diary he’d reacted to his MMR vaccine at 13 months: he was very lethargic and grizzly the day he had the vaccine, and later developed very severe diarrhoea. I didn’t know much about vaccines at this point, although I was suspicious of the whooping-cough vaccine as I knew children personally who’d been damaged by it. When I persevered with trying to have his educational and health issues met, I was falsely accused of Munchausen’s Syndrome by Proxy (MSBP) [of which she was later medically cleared – Ed.] and was blamed for all the illnesses and disabilities that both children had before I’d even met them – including the mobility problems! [Click here for a fascinating series of articles on MSBP]. ANH: That must have been an incredibly challenging period of your life. How did you get through it? Christina: I got through because of the skills and dedication of one of most talented professionals that I’d ever met! During the investigations, I was introduced to psychologist and specialist in autism Dr Lisa Blakemore-Brown. If it hadn’t been for her exonerating me, my life might have been very different indeed. I certainly wouldn’t have my children today! I’ve never met anyone with as much insight as Lisa; she’s a fantastic professional who can get completely onto the same level as an autistic child. Lisa taught me a lot about vaccination. She was the first professional to link vaccines, autism and MSBP in 1995, for which she was attacked in much the same way as Dr [Andrew] Wakefield. The British Psychological Society (BPS) held a closed Fitness To Practice hearing on the back of a few complaints, at which I was one of only two witnesses. They accused Lisa of paranoia and, although she won all her hearings, mud sticks – no-one would touch her afterwards. As a result, she lost her house and everything she owned, she almost went bankrupt and her daughter had two brain haemorrhages [which she attributes as being] due to the stress. But she’s still practising in the field of autism. I can’t tell you too much about it just yet, but I’m working on a book at the moment with Lucija Tomljenovich PhD that will expose the full story about Lisa. And Dr Wakefield! Plenty of the same characters are involved in both stories. ANH: You run two websites yourself and you write for various others – can you tell us more about those, please? Christina: One of my own websites is called Profitable Harm, which is about the pros and cons of vaccinations, along with adverse reactions to vaccinations and certain prescription drugs. My other site is called Parents And Carers Against Medical Injustice, the aim of which is to collect together all the available information on false accusations of shaken baby syndrome (SBS) and MSBP. More and more parents are being falsely accused under these labels and they currently have to search all over the Internet for information. My writing can be found on vactruth.com, The Liberty Beacon, [Anna Rodgers’ site]Miss Eco Glam, GreenMedInfo.com, the Vaccination Risk Awareness Network (VRAN), Living Wisdom magazine, The Informed Parent and others. ANH: Why are you particularly concerned about shaken baby syndrome and its links to vaccination? Christina: When I first came to this, I didn’t want to cover false accusations because I was so hurt by my own experience, which I’m writing about in my new book in order to heal and move on. But cases of SBS kept approaching me after they couldn’t get help elsewhere, and thought that maybe a journalist could help them. I currently know of five parents who are in prison and two who are presently on trial: one set of parents are being tried for murder in South Africa, and the other is a young lady accused of seriously damaging her little boy. I’d particularly like to mention a man named Bryant Arroyo, who’s been locked up for the past 20 years in the US for murdering his little boy. He’s a lovely person whose child clearly had an autoimmune disease, but he’s been found guilty and given life without parole. In every one of these seven cases, the parents speak of how ill their children became following vaccination. The symptoms are quite consistent: reflux every time, usually a high-pitched scream and the child often falls unconscious. When the child is examined at hospital, however, they always find one or more of the triad symptoms of SBS [subdural haematoma (bleeding in the brain), retinal haemorrhage and cerebral oedema]. I’ve since learned that the triad can be caused by many different things, one of which is an adverse reaction to vaccination. Tissue scurvy, for example, or Kawasaki disease, has a presentation of bruising, bite-like marks and marks that look like cigarette burns – but it’s caused by breakdown of the tissue. It’s similar to, but not the same as, seafarer’s scurvy as there’s an abundance of vitamin C in the blood, but the vitamin C can’t get into the cells and tissues so they start to break down. This accounts for the bruising and, in some cases, broken bones as well. The liver becomes very swollen and diseased while the pancreas doesn’t produce enough insulin, which helps the vitamin C get into cells from the blood. Dr Michael Innis has written some fantastic papers on this. He’s also providing evidence in two cases in England and Scotland, one of which is a lad who’s been sent to prison for life for shaking his little girl to death, but the blood tests prove it was tissue scurvy. She had liver disease and a lowered insulin level. And not only that, but her problems occurred very soon after she had received the MMR vaccine. Unfortunately, most doctors can’t see beyond this triad and immediately accuse the parents of child abuse. And if the parents mention vaccination, they’ll definitely get accused – but I’ve never come across a case of SBS that hasn’t been vaccinated. If anyone reading this knows of one, please get in touch! ANH: Why do you think that governments and health authorities worldwide push vaccines so relentlessly, despite mounting evidence of harm and lack of efficacy? Christina: Financial gain and control, basically. From the point of view of the pharmaceutical companies, they’re perfectly happy for kids to need drugs and medication for the rest of their lives. Making people healthy isn’t part of their business model! As for control, I’ve just published an article – although it’s more of a research paper really! – on the links between vaccinations and infertility. I also believe that autism is being deliberately caused. Some of the biggest global IT companies are now purposely recruiting autistic adults, which makes sense due to their abilities in things like maths, repetitive tasks and attention to fine details – plus they do what they’re told. One company has even recruited an entirely autistic workforce. ANH: You wrote some explosive articles last year on the meningitis vaccination programme in Chad. Tell us more. Christina: That story came about by accident. I got an email out of the blue from a guy in the capital of Chad, N’Djamena, saying that 50 children had been paralysed by an experimental meningitis vaccine and would I write a story on it? I said, “Only if you can prove it.” He sent me a copy of a print-only, French-language Chadian newspaper that covered the story, which happened in a village called Gouro. Five hundred children had been herded into a school and force-vaccinated with a meningitis A vaccine – even though there had never been a single case of meningitis in Gouro. It turned out that the Bill & Melinda Gates Foundation was behind the vaccination programme, working with Serum Institute of India on a vaccine, called MenAfriVac, that could operate outside the refrigeration ‘cold chain’. There are obvious advantages for this kind of vaccine in a hot, desert area like Chad. Other major players included PATH, the CDC, the WHO, UNICEF and GAVI. The children were very sick indeed. They had seizures that were so violent that five nurses had to hold them down. A total of 106 became ill, but only 50 were taken to hospital in N’Djamena – where they were visited by Chad’s Prime Minister – while the others were left in their village. 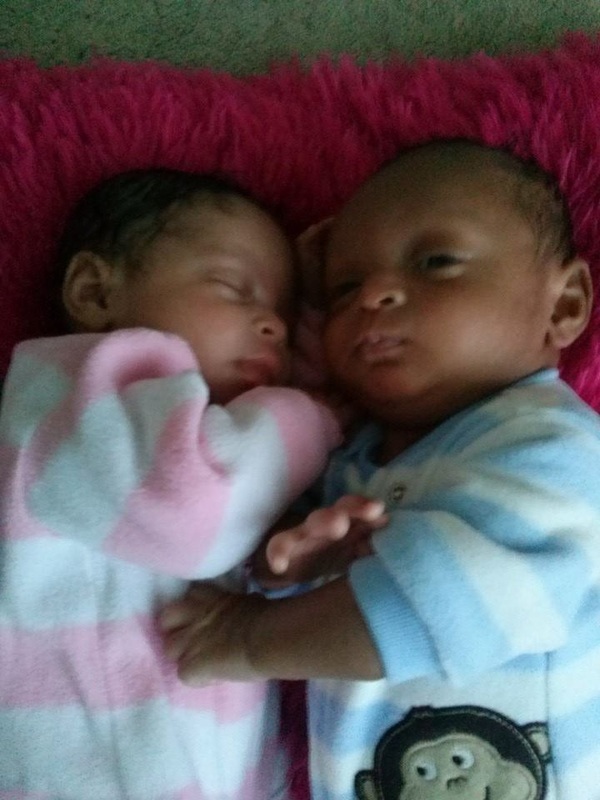 Their paralysis and seizures were officially put down to mass hysteria[see this week’s News Alerts for another example of mass hysteria being blamed for vaccination harm], and eventually they were dumped back in their village and their parents given $1,000 hush money. The Chadian Prime Minister and Minister of Health were later quietly replaced, apparently because the story had leaked out. ANH: Where do you see the vaccine debate and policy going in the next few years? Christina: The establishment is so desperate for things to stay as they are, they’ll do anything in their power to destroy anyone who speaks out about it. That’s why I didn’t register with the National Union of Journalists. But more and more parents are going to become aware, ask questions and refuse to take the vaccines in favour of natural healthcare, and I don’t know where that will leave the vaccine manufacturers and the pharmaceutical industry. We are aware of the extreme controversy surrounding some of the issues with which Christina is involved. That’s because much of the information she reveals is dramatically at odds with the picture painted by mainstream medicine, healthcare authorities, the mass media and the vaccine and pharmaceutical industry – all of which control the majority of information. We have all watched movies with a plot strikingly similar to this scenario, but for most of us, things like this just don’t happen in real life. Except for two grieving parents, it did, and the story reads and sounds just like something straight out of a Alfred Hitchcock horror novel. Unsolicited or forced medical experimentation and lack of accountability seem to be on the rise across the industrialized world. 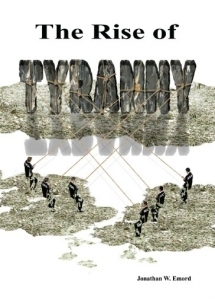 Cover ups, hidden research data and massive harm are scenarios TLB reports on more every day … and the true evil of the Medical Industrial Complex and Big Pharma becomes more blatantly apparent as time marches forward. The real life horror story you are about to learn of takes place over decades and, if you are human, will burden your heart. Please read as Christina lays the foundations for the recorded show below, Then listen as Joan and Derek Bye tell you in their own words what a trip to hell … is really like! 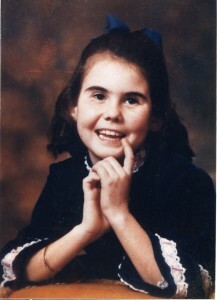 Helenor Bye was just twelve years old when she was experimented on and killed in a drug trial carried out in Wales in 1977. In a bid to cover up the truth, the hospital butchered her little body and stole her organs, telling her parents that she was still alive. Today, three decades on, her parents are still fighting for justice for their beloved daughter, who, just weeks before she died, had presented a bouquet of flowers to the Queen. In July 1977, a few days after playing in a public paddling pool, Helenor Bye became ill and was taken to Bridgend Hospital by her parents, Derek and Joan Bye, with a suspected bladder infection. Dr. Trevor Hyfyn Jones, the paediatrician treating Helenor, arranged for her to have an IVP, (an intravenous pyelogram), telling her parents it was normal procedure, to find out if there were any underlying problem with Helenor’s kidneys. What her parents did not know was this procedure was very dangerous and could lead to serious side effects. Within hours, Helenor became seriously ill and her parents were advised by the general practitioners (GP) to take Helenor back to Bridgend Hospital. At the hospital, Helenor’s condition quickly deteriorated, and despite the couple’s desperate pleas, Helenor did not receive any treatment. Mr. Bye alerted the doctors to the possibility of inflammation of the brain and asked for an EEG to be done as soon as possible. The hospital’s response was cold and harsh and he was rudely informed that this would take weeks to arrange. Helenor remained in the hospital for a total of five days, at which point her parents were told to take their daughter home. When Mr. and Mrs. Bye asked what was wrong with their daughter, no one was able to give them a satisfactory answer. Instead, they were ordered to carry on giving their daughter the drug Epilim (sodium valproate) to control their daughter’s epileptic condition?!! When Mr. and Mrs Bye tried to argue with the doctors and insist that their daughter was not epileptic, the hospital told them that if they did not continue with her prescribed treatment, Helenor would be removed from their care and placed in the care of the state. Faced with the prospect of losing their daughter, Mr. and Mrs. Bye requested a second medical opinion, but this request was denied under the threat of intimidation. The Bye family left the hospital after Dr. Jones reluctantly agreed to monitor Helenor’s progress on a monthly basis. Dr. Jones only agreed to this, however, if the Bye family agreed to maintain a dosage of 800 mg of Epilim per day, telling them that it would be dangerous to withdraw the drug or to stop it instantly. It was not revealed until 24 years later that during her five-day stay in hospital, Helenor had been prescribed Valium and Mogadon and taken to Glanrhyd Hospital for a full EEG examination which was grossly abnormal. Mr. and Mrs. Bye said that from this point, they watched their beloved daughter Helenor progressively deteriorate as she began to suffer the horrendous side effects of Epilim. Within weeks, Helenor began to suffer from sleeplessness and coordination problems. Despite this and the fact that Helenor had lost a lot of weight due to continuous vomiting, the pediatrician advised her parents that these side effects were nothing to worry about and that her body was adjusting to the medication. The truth was that Helenor was slowly being poisoned to death and her symptoms were an early sign that she was extremely ill, something that should have been obvious to Dr. Jones, had he read the product insert for sodium valproate (Epilim). Instead of recognizing the documented adverse reactions to Epilim, however, Dr. Jones decided to blame Helenor’s severe weight loss on the slimming disease, anorexia nervosa (eating disorder in the US), and psychiatric problems. On Friday, April 21, 1978, Helenor, emaciated and weighing a mere three-and-a-half stone, was taken back into Bridgend Hospital, with Epilim poisoning. Dr. Jones, obviously realizing his error, immediately withdrew the drug, sending the severely underweight, ill, little girl into a state of status epilepticus (a dangerous condition in which epileptic fits follow one another without recovery of consciousness between them). Over the next three days, Helenor slipped in and out of a coma and was eventually transferred to a hospital in Cardiff where she was taken to intensive care. Dr. Corrie Weaver informed Mr. and Mrs. Bye that Helenor was dangerously ill and that they were doing their utmost to save Helenor’s life. She informed them that, in order to save her life, they needed to take biopsies from Helenor’s liver, kidneys and brain and asked Mr. and Mrs. Bye to sign the authorization documents. It was later discovered that Helenor had already died on her way to the hospital and these forms were actually authorizing the removal of her vital organs from her body, thus removing all the evidence of foul play on the part of either hospital. Tonight, Mr. Derek Bye and his wife, Joan, tell their harrowing story to Roger Landry and I on a The Liberty Beacon Special … Please listen below. Please understand this show was recorded between England and northern Montana (USA), and although the sound is not always studio quality … you will never be at a loss to understand the conversation. 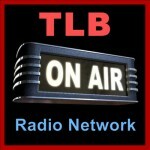 Click on the TLB Radio Logo to hear recorded show. TLB would like to once again thanks Christina England for her vital role in this project! 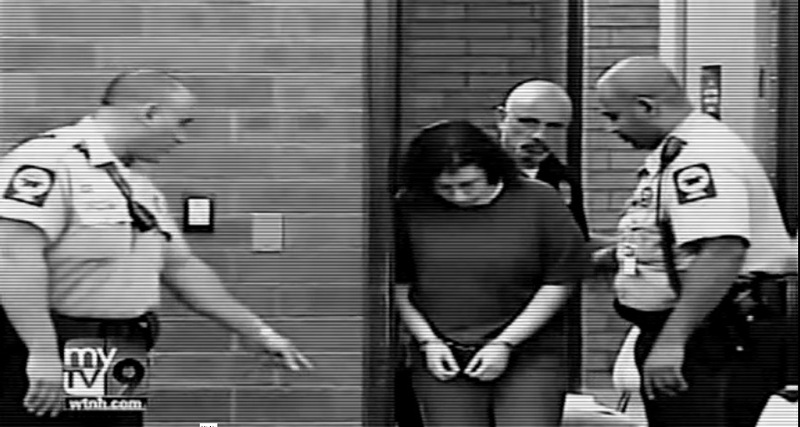 Image from “The Syndrome” film. One of the true travesties of justice in modern society is the medical profession’s refusal to acknowledge vaccine injuries. While U.S. law forces the government to pay out damages to vaccine injuries and deaths in a special federal vaccine court that was setup to protect the manufacturers of vaccines from any legal liabilities, medical professionals continue to deny the existence of vaccine injuries, and therefore research to learn how to help vaccine damaged children is never funded nor conducted. The fact that the child autism rate has skyrocketed from a rate of 1 out of every 10,000 children to 1 out of every 50 in the past few years, and is still climbing, is a national tragedy as the science linking vaccines to autism is covered up or ignored. But how much more of a travesty of justice is it when a child is harmed by vaccines resulting in brittle bones, and then the parents are put in prison for a false diagnosis of “Shaken Baby Syndrome,” while the real criminals go free and continue harming other children with their faulty medical products? These medical criminals can never be sued for damages in a court of law in the U.S., and therefore have no motivation at all to produce safe products. The U.S. government is the largest purchaser of childhood vaccines buying $4 billion worth of vaccines, giving the pharmaceutical companies a guaranteed market for their products. And now, today in 2015, lawmakers in states like California are pushing to make these liability-free vaccines mandatory by removing parental exemptions. But if a child is found with broken bones due to a vaccine-induced brittle bone condition, the parent is the one who risks going to jail, not the manufacturer of the vaccine, nor the medical professional who administered it. As more and more men and women face lengthy prison sentences after being accused of inducing shaken baby syndrome (SBS), questions are being asked as to whether or not this syndrome actually exists. While some professionals appear to be in no doubt that the syndrome does exist, others are beginning to question the syndrome’s authenticity. When a medical professional suspects that a baby has been violently shaken, they will examine them for the “triad” of injuries associated with SBS. These are subdural haematomas (bleeds inside the brain), retinal haemorrhages (bleeds behind the eyes) and cerebral edema (swelling or inflammation inside the brain). Whilst a large percentage of the medical establishment continues to embrace the SBS diagnosis, others have become critical and maintain that the violent shaking of a young child is not the only cause of the triad of injuries. Mounting evidence suggests that these injuries can also occur after short falls, illnesses such as encephalitis and meningitis, birth trauma, vitamin deficiencies and genetic illnesses such as brittle bone syndrome. These causes are identified on the British Medical Journal’s online guide, Best Practice: Abusive Head Trauma in Infants, and on the website Parents and Carers Against Medical Injustice. How Did This Tragedy Begin? Dr. Norman Guthkelch, a retired neurosurgeon, wrote the first description of Shaken Baby Syndrome in 1971. It follows that since all cases of infantile subdural hematoma are best assumed to be traumatic unless proved otherwise it would be unwise to disregard the possibility that one of these has been caused by serious violence, repetition of which may prove fatal, simply on the basis that there are no gross fractures or other radiological bone changes in the limbs, nor any fractures of the skull. During the last 25 years substantial evidence, both manifest and circumstantial, has gradually accumulated which suggests that the whiplash-shaking and jerking of abused infants are common causes of the skeletal as well as the cerebrovascular lesions; the latter is the most serious acute complication and by far the most common cause of early death. Today we invite your attention to the evidence which supports our concept that the whiplash-shaking and jerking of infants are frequently pathogenic and often result in grave permanent damage to infantile brains and eyes. We shall also point out that potentially pathogenic whip-lash-shaking is practiced commonly in a wide variety of ways, under a wide variety of circumstances, by a wide variety of persons, for a wide variety of reasons. By merely suggesting that these injuries could be the result of child abuse, the Shaken Baby Syndrome was born and Caffey is now believed to be the first person to identify the syndrome. However, not all medical professionals agree with his theories and many have since stated that it is physically impossible to cause the triad of injuries by merely shaking a child. Over the years, biomechanics experts worldwide have questioned the validity of the SBS theory. They believe that the mere shaking of a baby cannot cause such injuries. In an attempt to demonstrate this, biomechanic specialist and expert witness Dr. John Lloyd attempted to evaluate various infant shaking techniques in a bid to prove that shaking an infant alone cannot cause the triad of injuries associated with SBS. 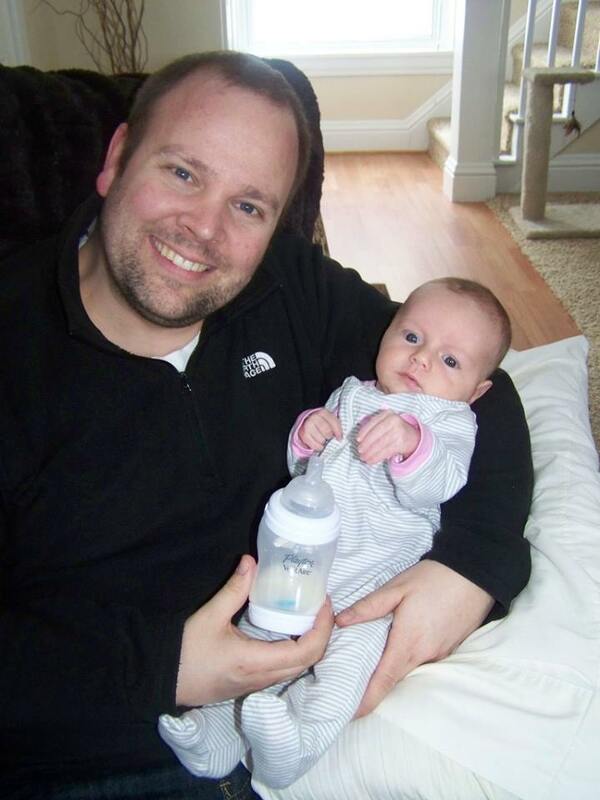 Obviously, he was unable to use a real baby to test out his theories; however, he was able to use his son, Kieran, to demonstrate one aspect of his experiment. Shaking events were investigated using both the NCSBS doll and CRABI mannequin. These tasks included: Resuscitative shaking in the flexion-extension plane, Resuscitative shaking in about yaw axis, Harmful shaking, and (iv) Gravity assisted shaking. Pediatric Activities of Daily Living (PADL) were explored primarily using the CRABI biofidelic mannequin. These activities included: pushing infant in various strollers over smooth and uneven surfaces; walking and running on treadmill while holding the infant in a baby carrier; swinging infant in powered cradle; burping – both back slap and up/down shaking techniques; rough play – throw up in the air and catch; bouncing infant on knee; hitching infant up on the hip; consoling behavior; and swinging back and forth. Additionally, the author’s son, Kieran Lloyd, shared his enthusiasm for bouncing in his Fisher Price jumparoo. In summary, this biomechanical study presents several important results. Firstly, that infant shaking produces head motions that are far below the levels required to cause injury in children. Secondly, head motion during vigorous shaking is very similar to head motion while a 7-month-old infant plays in his jumparoo and there are no recorded cases of head injury attributed to such playful activity. Thirdly, playing in the jumparoo causes repetitive head motion of a frequency similar to that experienced during shaking. Thus repetitive head motion does not increase risk of brain injury. Finally, that the NCSBS demonstration doll is an unsuitable infant representative. For further research, I urge parents to watch a recording of a lecture given by Dr. John Lloyd in 2013. 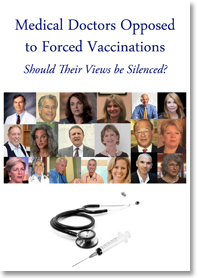 This book summarizes his teaching and is a must-read for everyone who wants to learn the “other-side” of the vaccine debate that the mainstream media routinely censors. It is a known fact that babies and young children can suffer a head injury after an accidental fall; however, many parents are unaware that even if a child appears to have suffered no ill effects from their injury, this is not always the case. Over the years, a growing number of parents accused of shaken baby syndrome have reported that their child had suffered a minor fall before they had become ill. In March 2014, Joshua Burns was sentenced to one year in prison and three years’ probation for shaking his 11 week-old daughter, Naomi, who suffered bruising to the head and ear when she fell off his lap. The couple acknowledged the fact that Joshua grabbed Naomi’s face to stop her from falling and hitting her head on a coffee table but stated that the incident was “an accident” and not child abuse. Naomi appeared to have suffered no ill effects from after she fell and went to bed as usual that evening. However, over the next couple of days, her conditioned deteriorated, resulting in several trips to the E.R. “Over the next two days multiple trips were made back and forth to the ER and doctor’s office and many calls were made to the family’s on-call pediatrician service. Naomi’s symptoms continued to worsen and eventually became so dire that her parents had to call 911. Naomi was transported via ambulance to the University of Michigan, C.S. Mott Children’s Hospital in Ann Arbor, Michigan. Naomi was hospitalized for two weeks during which time numerous tests were performed to diagnose her illness. A serious gastrointestinal virus was suspected to be the cause of her symptoms. According to the Livingston Daily, Dr. Bethany Mohr, the director of the child-protection team at the University of Michigan Medical Center’s C.S. Mott Children’s Hospital, who testified for the prosecution, believed that Naomi’s injuries were the result of child abuse. She testified that Naomi had suffered from retinal hemorrhaging in both eyes, which she believed is an indicator of child abuse, as well as the bruising. Whilst I agree that any bruising on a young baby may be a symptom of child abuse and should always be investigated fully, I also feel that doctors examining babies should be open to the possibility that there are many innocent causes of bruising, and therefore, they should examine all possible causes before jumping to conclusions about the parents. Determined to prove her point, however, Dr. Mohr asked experts to have Joshua demonstrate with a doll what had happened to Naomi when she fell off his lap. Hoping that it would demonstrate his innocence, Joshua agreed. Was this Couple Innocent of Any Wrong Doing or Were They Victims of the System? However, Dr. Mohr’s assumptions may have been incorrect, as evidence has shown that young children can suffer serious or even fatal injuries after a relatively short fall has occurred. In 2001, John Plunkett, M.D., wrote a paper titled Fatal Pediatric Head Injuries Caused by Short-Distance Falls. The paper examined a total of 18 cases in which children have died after suffering a short fall injury. In each and every case, the child had appeared fine after the injury and had carried on as usual. One of the cases highlighted is of particular interest because the family was proven to have been falsely accused of SBS as a result of the child’s injury. According to reports, hospital staff had been convinced that the child had been the victim of abuse; however, it was the video evidence of the fall that was eventually able to convince the prosecutors that the family was innocent. “Forensic pathologist John J. Plunkett of Minnesota, an outspoken critic of shaken-baby syndrome, wrote a 2001 report showing that those findings can be wrong. Toddlers can and do die from the effects of what is known in forensic science as ”short-fall” head injuries — similar to Calise’s description of how Aaliyah was hurt — according to the report. Plunkett’s case study involved a 23-month-old girl, the same age as Aaliyah, who was playing on a plastic gym set in the garage at her home. The child lost her balance on the top rail and fell, head first, onto a three-quarter-inch-thick plush carpet remnant spread out on the garage’s concrete floor. She was removed from life support 36 hours later. Plunkett said hospital personnel, “who were convinced without any question that this was shaken baby,” reported the death to law enforcement. Officers were preparing to arrest the child’s father, Plunkett said, when the 23-month-old’s grandmother intervened, saying she had videotaped the girl playing on the gym set. “So the cops went over to the home and found the video camera, which she had dropped when the little girl hit the floor, and they played the videotape and went: ‘Oh, my goodness!’” Plunkett said. The grandmother’s tape showed that the child hit her head on the floor in an accidental fall from a height of 28 inches. Sadly, the original article in the Beacon Journal is unavailable but a copy of the article can be found here. In a paper titled Dynamic Biomechanical Findings on SBS-LMF Chris Van Ee, PhD, made his feelings on the SBS theory abundantly clear, commenting that the mere shaking of a 0-2 year old alone, even in a fit of rage, is unlikely to cause intracerebral trauma. Sadly, the majority of experts speaking on behalf of child protective services, no matter how well-intentioned they may be, fail to read the science and instead continue to repeat the well rehearsed mantra that they were taught at college. Sadly, accidents do occur and babies do fall, however, this does not automatically mean that their parents have been neglectful in any way. It is about time that the medical profession, the judicial system and child protective services began to read the science and explore all possible avenues of inquiry before accusing the parents of such atrocious crimes. What does an informed parent look like? We’ll show you. Below is a letter written by Bob O’Kane, a concerned parent, to his pediatrician about vaccines and the danger they pose to his child. This letter is one great example of how to approach your doctor, especially if you have looked into the matter further and are uncomfortable with their stance on the topic. The name of the doctor has been intentionally omitted. ps- yes we are considering the shots as she gets older. But in the meantime can you order for us a screen to determine if Rylan’s immune compromised? 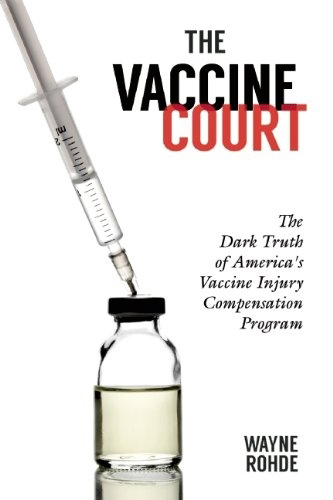 This will help us a great deal considering thousands of cases that went through the vaccine court in the past decade showed many injuries and deaths resulted in the failure to pre-detect if children had a compromised immune system prior to any shots. TLB Note: This is but one example of the great vaccine related information that can be found on Vactruth. This forum contains a virtual cornucopia of information pertaining to the dangers and repercussions of the vaccination process. The list of outstanding authors this forum engages is both long and impressive and includes Christina England, Jeffry John Aufderheide, Gary Null PhD, Harold E. Buttram MD. and many more. TLB is a newspaper, writing and reporting on many diverse topics, but specializing in none, so we highly recommend you visit Vactruth and their archives for some serious and highly informative information on this specific topic. In May 2015, I came across an article written by Dr. William H. Gaunt. He reported that many parents believe they only have two choices when it comes to vaccination: either they vaccinate or they do not. However, this is not the case, because, in his opinion, parents have as many as four choices when it comes to vaccinating their child. 1. Pro-vaccine position: Get every vaccine on the recommended schedule at the recommended ages. 2. Anti-vaccine position: Obtain a religious or philosophical exemption or do home school and get zero vaccines. 3. Delayed-vaccine position: Get all the vaccines your state requires for school but use an alternative vaccine schedule that delays and spreads out some of the vaccines. 4. Selective-vaccine position: Get an exemption or do home school then choose a few of the vaccines that you believe are appropriate for your child and avoid the others. However, what happens, if after weighing up all the options carefully, a parent decides to play it safe and delay their child’s vaccinations until they are a little older? How do parents decide which age is safe for their child to receive a vaccination? In Japan during the 70s, it was found that infant mortality and adverse reactions to the DPT vaccination were extremely high. Officials decided to delay the DPT vaccination for a period of six years to see if this improved the situation. They were stunned to find that both the adverse reactions to the vaccination and infant deaths were dramatically reduced during this period. Sudden Infant Death Syndrome: is there a vaccine connection? Is Two Years the Safe Age to Vaccinate? At a loss and with little guidance on vaccine safety, acting on instinct, Alisa Neathery decided to delay her son Bently’s vaccinations until he was six months old. This was because she believed delayed vaccination would help to prevent her son from dying from sudden infant death syndrome. What she could not have anticipated, however, was the fact that on the day that she took her son to the local clinic to have him vaccinated for the first time, her usual doctor would not be there and instead a P.A. (Physician’s Assistant) was taking the clinic. Instead of recommending that Bently begin his vaccination schedule with just a few vaccines, he decided to emotionally blackmail Alisa into having her son vaccinated with as many vaccines as possible. According to Alisa, the physician’s assistant, who at this time will remain nameless, appeared unsure as to how many vaccinations Bently should receive. Instead of asking for advice, as one would expect, he told Alisa that he did not want to vaccinate her son with too many and decided to vaccinate Bently with 13 vaccinations. The vaccines that Bently received included two doses of the DTaP (diptheria, tetanus and pertussis (whooping cough) vaccine, two polio vaccines (one oral and one injected), three rotavirus vaccines, one Hib (haemophilus influenza type B) vaccine, one Pneumococcal vaccine, one Hep B vaccine and three others that remain a mystery. Considering the aluminum content in these vaccinations alone, according to extensive research this PA vaccinated Bently with a massive overdose. To verify this, I recommend that you read an excellent article published in 2008 in Mothering magazine, written by Dr. Richard Sears. Dr. Sears had been exceptionally worried for some time about the effects of aluminum on children’s health. In an article warning mothers about the dangers of vaccinations containing aluminum as the adjuvant, titled Is Aluminum The New Thimerosal? Dr. Sears explained that aluminum is added to vaccinations to help them work more efficiently. He stated that although aluminum would not normally be a problem, because it is a naturally occurring element found everywhere in our environment, including our food, water, air and soil, he had become worried about the effects that injected aluminum was having on children’s health. He began to wonder if anyone had ever actually tested the safe level of injected aluminum. Five days after receiving this huge onslaught of vaccinations, little Bently died an agonizing death in his mother’s arms. If this were not bad enough, the hospital then decided to blame Alisa for Bently’s death and called child protective services (CPS), who immediately removed her two year-old daughter from the home and gave her to the grandmother to care for her while they carried out their investigations. So, who was to blame for little Bently’s death? I urge you to listen to Alisa as she tells her heartbreaking story to Roger Landry and Christina England on a TLB special and decide for yourself. Alisa believes that this inexperienced doctor did not act in the best interest of her child and she now wishes to sue this doctor for medical malpractice and negligence. 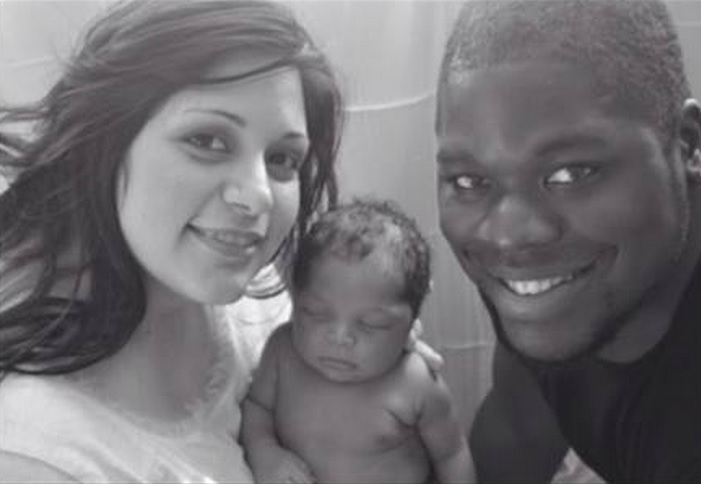 If, after listening to her story you agree, and you would like to help Alisa and her family to get justice, please go to Baby Bently’s Support Campaign. TLB: Please listen as Bently’s mother (Alisa) describes the heart breaking events leading up to Bently’s passing, and the subsequent nightmare following this tragic event. TLB also discusses other pertinent information pertaining to causality and responsibility. An ever increasing level of distrust permeates our healthcare system today. More are questioning daily exactly what has brought America to this sad and rapidly declining state of health. When we can no longer trust the advice, information or research coming from our caregivers, health agencies or pharmaceutical manufacturers, how can we expect anything else? I would strongly recommend listening to the recorded show below. Let’s put the truth and knowledge based on fact with no ulterior motives, in the hands of those who need it most and allow them to make decisions that benefit them, their children and future generations to come! Today we offer you part #2 of a three part series highlighting the absolute necessity for truly independent research into vaccine efficacy and safety via trusted organizations and foundations such as CMSRI. With the help of my esteemed Co-Host Leslie Carol Botha, we present to you the thoughts and experience of an ex Merck drug sales-rep to answer the questions … What are the industries motivations, how much value do they place on human life and health, and how far will they go to accomplish their profit goals. 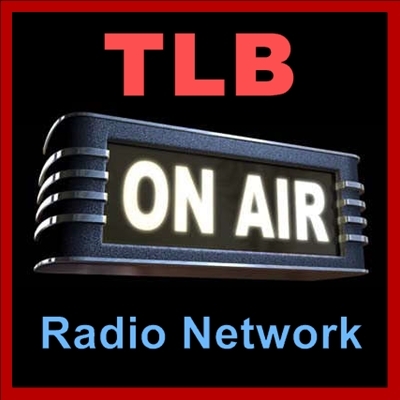 Please listen to this (recorded) show by clicking on the TLB radio network logo, and be sure to watch the applicable video below the show, Brandy’s perspective is time-worthy and outstanding! Brandy Vaughan is a former pharmaceutical sales rep and founder of the non-profit Council for Vaccine Safety, and most importantly, mother to awesome 4 year old boy. Brandy Vaughan, ex-Merck employee, speaking about SB 277 in California. I want to tell you a little bit about how I got involved. I worked for Merck as sales rep from 2001 to 2004. When I was there, I repped Vioxx. If anyone remembers that drug, I went through that. What I learned from that experience was just because things are on the market, does not mean they’re safe. The U.S. gives more vaccines than any other country in the world. Our childhood schedule for under the age of one has twice as many vaccines as other developed countries. What else do we have? The highest infant mortality rate of any developed nation. Finland has the lowest. They only give 11 by age six. Mississippi has the highest rate of vaccination in the U.S.–highest infant mortality rate. These numbers do not lie. But you will not hear that on the media, and that is not what Senator Pan will tell you. Vaccines are the only products in the U.S. that do not have liability. You can not sue for injuries or death. But that is only in the U.S. Around the world, there are law suits because of serious injuries and deaths because from vaccines. In Spain over Gardasil. In Japan over Gardasil. The flu shot was taken off the market for under five in Australia after deaths and injury. Prevnar was banned in China. Pfizer’s vaccination program was kicked out of the country. France just pulled Rotavirus off their schedule after infant deaths and injuries. Why are we behind the rest of the world? Here in the U.S., while this is going on in the world, we’re trying to increase the schedule, and we’re trying to make it mandatory. This is not about public health. This is about profit. I have a few questions for Senator Pan that he would never answer on the media or in front of the lawmakers. WHY ARE YOU PUSHING DRUGS THAT HAVE NO GOLD STANDARD SAFETY TESTING, DOUBLE BLIND PLACEBO BASED LONG-TERM SAFETY TESTS THAT ARE REQUIRED FOR EVERY OTHER PHARMACEUTICAL DRUG TO BE PASSED AND PUT ON THE MARKET? SHOW ME THE SAFETY STUDIES THAT ARE REAL. I HAVE ANOTHER QUESTION FOR HIM. IF SB 277 PASSES, I’M A SINGLE MOTHER, HOW AM I GOING TO HOMESCHOOL MY NON-VACCINATED CHILD AND PUT FOOD ON THE TABLE? ANOTHER QUESTION FOR HIM: ALUMINUM IS THE NUMBER ONE ADJUVANT IN CHILDHOOD VACCINES. THERE ARE A LOT OF STUDIES OUT THERE SHOWING IT’S A CARCINOGEN AND IT’S LINKED TO BREAST CANCER FROM TRADITIONAL DEODORANT. MY GRANDMOTHER GOT BREAST CANCER FROM DEODORANT. HIGH LEVELS OF ALUMINUM IN HER BIOPSY TISSUES. SO HOW CAN WE TALK ABOUT THE CONNECTION OF ALUMINUM WITH BREAST CANCER, BUT WHEN WE TALK ABOUT IT IN REGARDS TO VACCINES, WHY ARE WE CALLED CRAZY? ONE LAST QUESTION FOR SENATOR PAN. WILL HE ACCEPT MY CHALLENGE OF A LIVE, TELEVISED DEBATE? We as parents owe it to ourselves and our children to learn the truth about the vaccinations being recommended by our governments and health care providers. We must ask ourselves whether it right that the majority of research and studies supporting vaccination safety today is funded by the vaccine manufacturers. Are parents being sold short when it comes to vaccination safety? If you believe that researchers studying the areas surrounding vaccinations should not receive funding directly from the pharmaceutical industry, then please support Claire Dwoskin (founder of CMSRI) in her quest to provide parents with the independently funded research that they deserve. HPV Vaccines Proven to Be Dangerous and Ineffective, So Why Are They Still Being Recommended For Our Children? It seems more so every day that our struggle to keep our loved ones, especially our children, safe from medical harm is a losing battle. It also would appear that those who are tasked specifically with our protection, are a main player in this struggle … and NOT to our advantage. 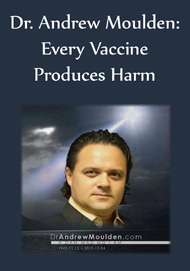 Medicines and Vaccines with a proven history of dangerous and even deadly side affects are approved and in some cases mandated for use, regardless of their proven dark history. The HPV vaccines must surely appear high on this list. With a known history of results ranging from paralysis to death, and a growing mountain of research blatantly indicating their lack of effectiveness … why are these dangerous and ineffective vaccines still in use, and in the process of expanded use to young boys and even infants? When profit drives a corrupt corporation to put us in harms way via mechanisms of known harm, we can chalk this up to greed. But when Government agencies mandated with the public’s safety show blatant complicity, well you must conclude the deck is seriously stacked against us. Isn’t the CDC’s motto “24/7: Saving Lives, Protecting People”? With the plethora of peer reviewed proof of the dangers associated with vaccines, and in this specific case, the HPV vaccine, can you possibly find a bigger misrepresentation of the truth (lie)? It is well past time to join our voices in unified protest and once and for all, put a stop to this needless suffering and death! 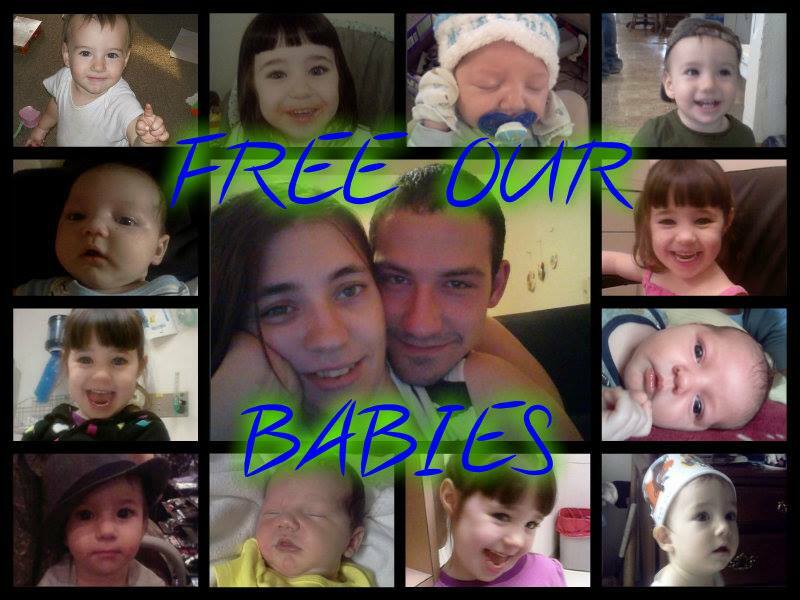 These are our loved ones and our children … this does not have to be! As usual I follow my rant with the level headed reporting of one of TLB’s most prolific and gifted writers who will bring the facts to you as only she can. In 2008, Judicial Watch examined the FDA’s HPV vaccine records and issued a report outlining their concerns. Their report titled the Judicial Watch Special Report: Examining the FDA’s HPV Vaccine Records, detailed the approval process, side effects, safety concerns and the marketing practices of a what they called a large-scale public health experiment. • Gardasil is a prophylactic, preventative vaccine and will not treat pre-existing HPV infection. It is not a cancer vaccine or cure. • Gardasil is not 100% effective against all HPVs. It is designed to protect against only four strains of HPV, even though there are over thirty strains including at least fifteen that can cause cancer. • While Gardasil is the most expensive vaccine ever to be recommended by the FDA, its long-term effectiveness is unknown and could be as brief as only two to three years. • During testing, an aluminum-containing placebo was used. Aluminum can cause permanent cell damage and is a reactive placebo, unlike most standard saline placebos. This means that tests of Gardasil may not have given an accurate picture of safety levels. • Although some states are considering making it mandatory for young girls to get the Gardasil vaccine, it has only been tested with one other vaccine commonly given to children. There are ten commonly administered adolescent vaccines. Their report, which was extremely worrying, highlighted several cases from the Vaccine Adverse Events Reporting System (VAERS) website, including young women who developed warts, Guillian-Barre Syndrome, miscarriages and fatal blood clots after receiving the vaccine. “Gardasil has not been tested thoroughly enough to know whether it will be safe or effective in the long term. • Even if it shown that the Gardasil vaccine is effective, it is still unknown how long the vaccine lasts or if there will be a need for booster shots. • Regardless of its potential to help prevent HPV and cancer, Gardasil should never be administered without a prescreening for HPV since it has the potential to make existing cases worsen. • It is important that people remember that this vaccine will not eliminate the need for regular Pap screening. No vaccine is 100% effective, and Gardasil is designed to protect against only four strands of HPV. Despite their report being issued six years ago, HPV vaccines have continued to be marketed around the world, with devastating consequences. As highlighted in the above report, HPV vaccines were tested against subjects vaccinated with a placebo containing aluminum, meaning that both of the vaccines contained aluminum, this giving a false positive if both groups suffered the same adverse reactions. It has been well-documented that aluminum used in vaccinations can lead to a wide range of side effects and many people are now questioning the reasons behind the manufacturer’s decision. Canadian scientists Professor Christopher Shaw and Dr. Lucija Tomljenovic have studied the effects that aluminum can have on the human body for many years. In 2013, they published a paper titled Aluminum in the Central Nervous System: Toxicity in Humans and Animals, Vaccine Adjuvants, and Autoimmunity. Their paper revealed that during a 17-year period, the rates of autism increased significantly in countries that had the most vaccinations containing the adjuvant aluminum. If the manufacturers of the above vaccinations also used placebos containing aluminum, this could mean that none of these vaccinations have ever been tested accurately. Considering that these figures are now over a year old, we can only begin to estimate how many innocent lives have been lost since then and destroyed by this vaccine. A report written by Tomomi Kinoshita, Ryu-ta Abe, Akiyo Hineno, Kazuhiro Tsunekawa, Shunya Nakane and Shu-ichi Ikeda titled Peripheral Sympathetic Nerve Dysfunction in Adolescent Japanese Girls Following Immunization with the Human Papillomavirus Vaccine, published in 2014, examined the cases of 44 girls who were said to be suffering adverse reactions after receiving the HPV vaccine. They stated that 31 of the girls were vaccinated with the Cervarix vaccine and 13 were vaccinated with Gardasil. The authors stated that four of the girls examined were proven to be suffering from non-related conditions, leaving 40 girls aged between 11 and 17 in the study. The team concluded that the symptoms that they had observed in the study could be explained by abnormal peripheral sympathetic responses and stated that the most common previous diagnosis in the studied girls was psychosomatic disease. A large number of the side effects that these scientists identified have been echoed by professionals worldwide for many years, in particular menstrual abnormalities and amenorrhea. As the BMJ charges a fee to read their articles, interested readers can find a report about the case on the Weekly Briefing of the Population Research Institute’s website. The report stated that Dr. Little said that before the sixteen year-old received the vaccine Gardasil during the fall of 2008, her menstrual cycle was perfectly normal. However, by January 2009, her cycle had become irregular, and over the course of the next two years, her menses (bleeds) had become increasingly irregular. By 2011, she had ceased menstruating altogether. The Weekly Briefing article has since been removed, but a complete copy of the article can be found on several websites, including Population Research Institute. In 2013, scientists, Serena Colafrancesco, Carlo Perricone, Lucija Tomljenovic, and Yehuda Shoenfeld wrote a paper titled Human Papilloma Virus Vaccine and Primary Ovarian Failure: Another Facet of the Autoimmune/Inflammatory Syndrome Induced by Adjuvants. It is interesting to note that the post-vaccination symptoms mentioned in this study are exactly the same adverse reactions that Judicial Watch highlighted in their review in 2008. Professionals have been voicing their concerns regarding the safety of the HPV vaccinations for the past six years. Despite their growing unease, these vaccinations are still being recommended worldwide today. Growing increasingly concerned about the safety of HPV vaccinations, this year Japan took the leading role in the protection of young women and withdrew government recommendation for the administration of the vaccine. Isn’t it about time other governments joined Japan and investigated these vaccines further, instead of allowing more and more injuries to occur every day? After all, they owe our children that much, surely? If it were not for organizations like the CMSRI who fund and support many of the above scientists, helping them to carry out such important work, then the public would remain unaware of the truth surrounding the dangers of vaccinations. What Happens to the Aluminum In Your Body After Vaccination? Today we are constantly being bombarded with toxic chemicals, bio-toxins, airborne pollutants, environmental toxins, toxic vaccines and more, all with very little sound science presented to us as to the long term effects they are having on our physiology. Yet as we look around us these days we see a society whose health is failing at an ever increasing rate. It would seem even to the most casual of observers that the very governmental agencies mandated with our protection are failing these tasks in a very significant fashion, leaving this vital mission to the likes of organizations such as CMSRI or The Liberty Beacon project. So once again Christina England steps up to inform and educate us as only she can. As we learn more about vaccinations, we are beginning to question their safety and whether or not vaccines should include certain ingredients. Aluminum has become one of the most negatively talked about products used today. In recent months, scientists have linked its use to cancer, autism, Alzheimer’s disease and chemical burns. So, what is being done to protect the public from its many dangers? “Aluminum salts are incorporated into some vaccine formulations as an adjuvant. An adjuvant is a substance added to some vaccines to enhance the immune response of vaccinated individuals. The aluminum salts in some U.S. licensed vaccines are aluminum hydroxide, aluminum phosphate, alum (potassium aluminum sulfate), or mixed aluminum salts. For example: aluminum salts are used in DTaP vaccines, the pneumococcal conjugate vaccine, and hepatitis B vaccines. However, have you ever wondered what happens to the aluminum post-vaccination? Their study investigated whether or not aluminum adjuvants are taken up by a type of cell known to infiltrate the injection site post-vaccination. Two years ago scientists M. Mold, H. Eriksson , P. Siesjo, A. Darabi, E. Shardlow & C. Exley came together in a joint effort to find out whether or not aluminum adjuvants are taken up by immune cells within the body. To enable the scientists to clearly examine what happens to the adjuvant aluminum once it enters the body, the scientists used a fluorescent molecular probe, called lumogallion, to enable them to find out whether or not the cells take up the aluminum adjuvants. Lumogalliona is used by scientists to make any aluminum inside the cells glow a fluorescent shade of orange. Lumogallion binds the aluminum and the complex produces a characteristic florescence. In the past, it was believed but not confirmed, that when a person was vaccinated with a vaccine containing an adjuvant, the adjuvant would attach itself to the antigen or virus and make its way to the lymph nodes, where it would trigger an immune response. Using two different formulations of aluminum oxyhydroxide AlO (OH), one that is clinically approved for vaccinations and the other, an experimental formulation of the adjuvant, Dr. Exley and his team investigated whether or not the aluminum adjuvant used in vaccinations could enter monocytic THP-1 cell lines. Does the aluminum from vaccinations enter cells after vaccination? If it does, then which cells does it enter? What happens to aluminum once inside the body? This Study is Only the Beginning! This is only the beginning, because if scientists are able to find aluminum in the THP – 1 cell lines, it may also be possible, using this technique, to discover where else in the body the aluminum used in vaccinations can be found, including the brain. This is a massive breakthrough and may change the way that vaccines are manufactured in the future. If nothing else, it tells us that aluminum adjuvant contained within the vaccine will not necessarily remain at the injection site but could be carried throughout the body and this could include the brain. This is something the researchers hope to investigate further in the future, along with the implications the aluminum may have on the immune system and the monocytic cells when they contain aluminum. Does it mean that the immune cells do not work as well? It is shocking to realize that whilst many of the vaccinations used today contain the adjuvant aluminum, the manufactures making the vaccines have no idea where the aluminum goes after the vaccination has been administered and therefore have no idea how dangerous it is. If studies have never taken place to find out what happens to aluminum once it has been injected into the human body, then we need to be asking what else has not been studied concerning vaccinations? I am sure readers will agree that a huge thank-you must go to all the researchers involved in this ground-breaking research and also to the CMSRI who have contributed to the funding of this research and helped to make their important research possible. TLB asks that you to please visit this site for some outstanding/pertinent information. Please donate to this worthy organization and be a part of something great!